The Thanksgiving holiday traditionally revolves around a huge feast with family and friends, wherever you are. But if you're spending the holiday in San Diego, you can add some new traditions to the day, by celebrating Thanksgiving with a San Diego twist. If you want to enjoy your Thanksgiving meal in a grand setting, you won't find a better place to do it than at San Diego's iconic Hotel del Coronado. The oceanfront Ballroom and magnificent Crown Room both feature elegant holiday buffet feasts and live musical entertainment. A special children's buffet is available. The Hotel del Coronado also offers a unique Southern California experience—outdoor ice skating overlooking the Pacific Ocean. The famous hotel's oceanfront Windsor Lawn is transformed into a spectacular ice rink with skating sessions offered daily starting on Thanksgiving Day and going until New Years' weekend. The Victorian Building of the original hotel is decorated with thousands of white lights, providing a festive backdrop. Reservations are recommended in order to guarantee time on the ice. The Mother Goose Parade is a San Diego institution that attracts upwards of 400,000 spectators along the streets of El Cajon. The event always takes place on the Sunday before Thanksgiving. It includes bands, clowns, floats, a Queen's contest, and a 2-mile equestrian ride that highlights a variety of breeds and attire. Because the year's lowest tides typically occur during fall and winter, November and December are a great time to explore the natural wonders of San Diego's ocean tide pool ecosystems, with popular ones in Point Loma and La Jolla. Observe sea creatures in their ocean environment, such as crabs, sea mollusks, fish, and even an octopus if you're lucky. It's a fascinating glimpse into a very fragile ecosystem, which also means look but don't touch—and absolutely, don't remove any living creatures from the pools. In the spirit of Thanksgiving and also having some family fun, you can help change the lives of your neighbors in need by assisting Father Joe's Villages in providing more than 1.7 million meals through the organization's Thanksgiving Day 5K. 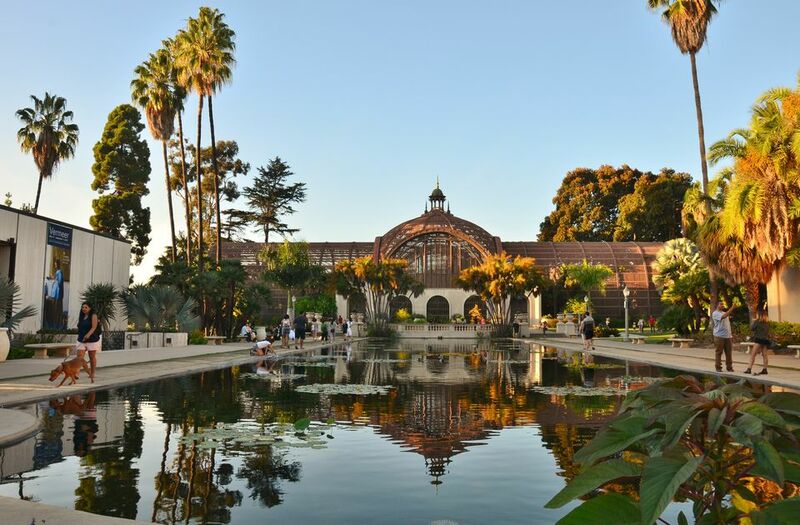 To participate, run or walk on a course that winds through beautiful Balboa Park. Once you cross the finish line, enjoy the race festival with live music, refreshments, and a beer garden. The day after Thanksgiving, nicknamed Black Friday, is the start of the holiday shopping season. Head to one of San Diego's top malls like Westfield UTC and Fashion Valley or an outlet mall like Carlsbad Premium Outlets for a variety of deals all in one place. If you're in San Diego over the Thanksgiving weekend, take advantage of the area's amusement and theme parks, as well as the world-famous San Diego Zoo, which is open on Thanksgiving Day. Or take the family 30 minutes north for fun at Legoland California, also open on Thanksgiving Day.